The primary purpose of your roof is to shelter you and your loved ones from the rain, wind, snow, and harsh summer sun. Having a well-maintained roof is essential if you want to create a home that is safe and comfortable. Unfortunately, roofing materials don’t last forever. 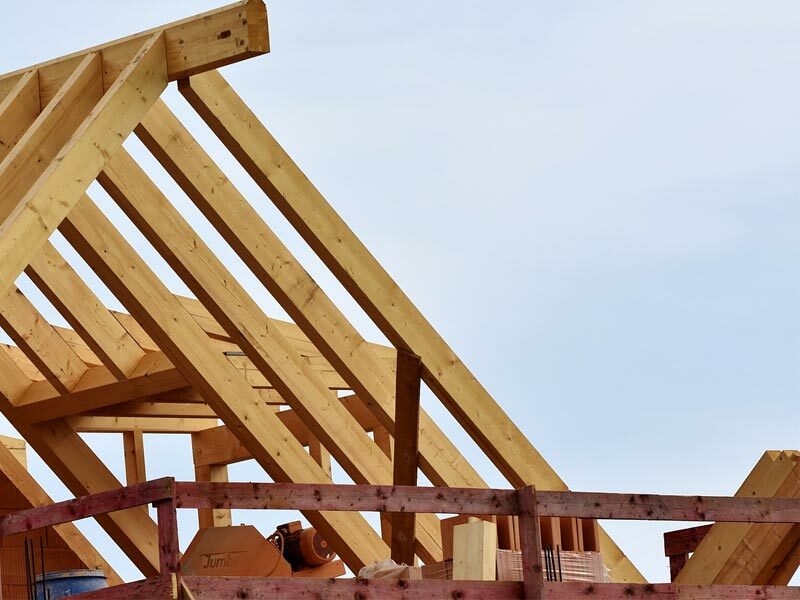 All roofs need to be repaired or replaced at one point or another. Unless you have the right tools and experience to do the work yourself, that usually means hiring a professional roofing company. The importance of hiring the right company can’t be overstated. Most roofing projects are quite expensive. You need to know that you are investing your money wisely and that the finished roof will last for many years to come. Work with a local company. Before hiring a contractor, make sure that they have a physical address in your city or county. Local contractors are more likely to be familiar with the codes and building requirements in your area. They are also less likely to try to scam you out of your money since they have to maintain their reputation in your community. Verify that the contractor is licensed and insured. Reputable contractors always take the time to get licensed. You should be able to look up licensing information online through the website of your city or state. Check to make sure that the contractor’s license is valid and that it is current before hiring them. Additionally, ask the contractor to provide proof of liability insurance and worker’s compensation insurance before they begin work. Solicit competing quotes. Don’t make the mistake of hiring the first company that you contact. Instead, reach out to at least a few different contractors in your community to get quotes for the roofing project. Ask each contractor to provide you with an itemized quote so that you can see exactly where your money is going. Ideally, they should send a representative to your property to examine your roof in person before giving you a quote. That way, the estimate they provide will be much more accurate. Get everything in writing. Don’t just take a contractor at their word. Instead, ask them to provide you with a written contract. Make sure both you and the contractor sign the contract. Keep a copy for yourself in case any problems or disputes arise. A signed contract reduces the risk of misunderstandings and provides you with legal protection if the contractor fails to follow through on their promises. Can I ask if you will be interested to know “how your website roofingandsidingpros.com can be setup with some clever Video Marketing technique that will pull in tons of qualified leads everyday for your business on autopilot basis…” ? My roof has been leaking above the kitchen and I’m considering hiring a roofing service, and choosing a local company is a good idea. Having someone who is familiar with the codes and building requirements of the area definitely would ensure that my roof is fixed according to the local standards, none of which I know myself. Getting multiple quotes is definitely something I’ll take your advice on, as well, so that I can compare services and prices to find a company that I’ll want to call again for any future roofing needs. I know you hate to receive this email, my sincere apology… It’s all about the exclusive report been prepared for roofingandsidingpros.com already… The report is showing you how you can create any sales and marketing videos for roofingandsidingpros.com easily, with just a few clicks, and able to attract tons of traffic to your website, and convert them into leads and sales. Your recommendation to research various roofing contractors and get quotes from them is a good idea. This would be a great way to narrow the options down based on the price and their skill. It could also give you the chance to meet the contractor so you can discuss their roofing services as well as your situation in order to find one that can do the work you need and who you’re comfortable with. It was nice to know that you can check the Better Business Bureau if you want to check the reviews and complaints about a roofing contractor. My husband and I are interested in hiring a roofing contractor that can install a new roof for us. We want to make sure that we will find a roofing contractor that has a good reputation because of excellent roofing works. We want to save money on roof repairs, so we’ll make sure to find a roofing contractor that has glowing recommendations. Thanks! Can I ask if you will be interested to know “how your website roofingandsidingpros.com can be setup with some Ninja LinkedIn marketing technique that will pull in tons of qualified leads everyday for your business on autopilot basis…” ? I like that you talked about the importance of hiring a roofing contractor that has a valid license to make sure that they are reputable. My plan is to have our old roof replaced since it has a lot of bald spots. It was installed more than 2 decades ago, so it’s not working efficiently anymore. We’ll do all your tips to find a reliable roofing contractor.